Do we issue library cards? No, we do not have actual cards. Each student has a 6 digit Student District ID number, which is used to set up a library account. It is not necessary to memorize it...we will look students up by last name. How many items can be checked out at a time? borrow 2 items at a time. Exceptions may be made if necessary. Please speak with staff. If any item is coming up as overdue on a student's library record, that item must be returned or renewed before another item can be checked out. How long is a loan period? Library materials may be checked out for 2 weeks with an option to renew for 2 more. The item must be brought to the library for renewal. If another student has requested the book, it cannot be renewed. Do we charge fines for overdue books? No, we do not charge a fee for books that are returned late, but we do ask that books be returned on time so that they will be available to others. If books are lost or damaged beyond repair, the person who has it checked is responsible for replacement. When transporting library books to and from school in backpacks, please take extra care when a water bottle is in the backpack. Please make every effort to return books on time. Sadly, students with overdue or damaged items will not be able to check out books until the materials are returned, replaced, or the issue is resolved. Feel free to contact the librarian with any questions or concerns. Thank you. What if a book you need is checked out to someone else and there are no other copies? You may ask a librarian to place a hold on the item you need. When it is returned, a note will be placed in your homeroom teacher's mailbox to let you know that it is ready for pickup. The item will be held for a period of one week. If not checked out by then, it will be put back on the shelf. Are students able to use the Library Media Center computers during the day? Yes...when the library is open and computers are not being used by a class. Students must always have adult supervision while in the Library Media Center. If students arrive and no one is available, they must return to their class. We encourage teachers to call ahead. 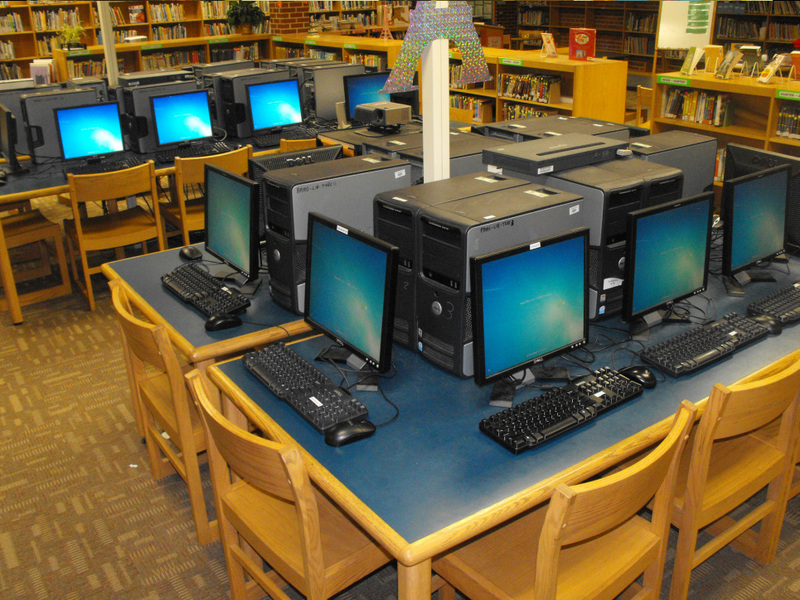 The district's Computer Acceptable Use Policy can be found in the Student Handbook.